Compost is a gardener's best friend. Spread around the bases of plants or incorporated into the soil, compost enriches the ground and helps to promote the growth and development of healthy plant tissue. Gardeners who recycle can easily create their own compost by layering kitchen scraps with garden waste and waiting for all that organic material to decompose. Naturally, this can take a while. 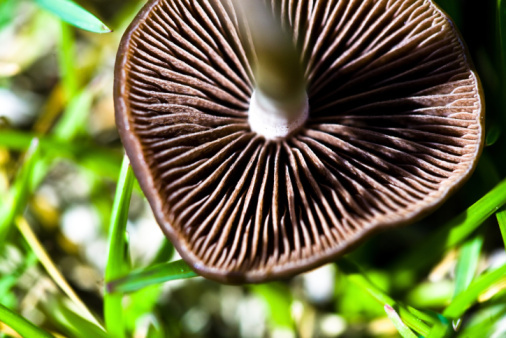 To increase the rate of decomposition, microbes need a boost. Moisture, nitrogen and carbon can all work together to speed things along. A homemade accelerator can easily be created and added to the compost heap. 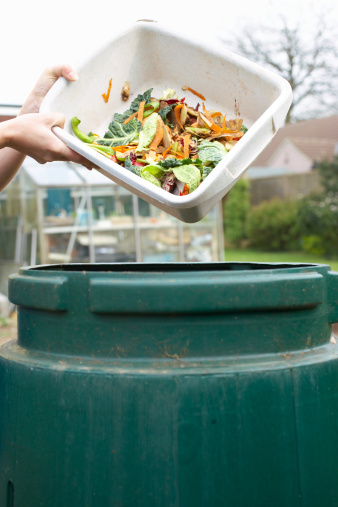 Compost bins turn kitchen scraps into a rich source of garden nutrients. Pour one gallon of warm water into a five-gallon bucket. The most active participants in the compost pile tend to be microorganisms such as bacteria and fungi—both of which tend the thrive in dark, moist conditions. Often a compost heap is too dry, which slows the rate of decomposition. Add one can of flat, warm beer to the water. For the best results, avoid light beer, but feel free to buy the least expensive can in the store. Once home, open the can and let it sit out on the counter for 24 hours. This should remove most of the fizz. The yeast in the beer encourages the growth of both bacteria and fungi. Pour one can of cola into the bucket. Any brand will do as long as it is not sugar free. The sugar in the soda will provide the microbes with a ready source of carbon. Mix in ½ cup of household ammonia. In addition to being nitrogen-rich, ammonia will reduce the amount of acid present in the compost. Stir well, until all of the ingredients are thoroughly blended and then pour the solution slowly over the compost heap. Follow the liquid accelerator with two to three shovels full of garden soil as this is a good source of additional microbes. Toss the compost lightly with a rake or shovel to evenly distribute the accelerator and the new soil throughout the pile. This will help to avoid the development of "hot spots". Can I Put Mushrooms in My Compost? Does Yeast Accelerate Compost Piles?